I have been looking forward to today for MONTHS! Today I am headed back to Charleston for The Blog Societies Conference. It is a 3 day conference filled with meeting bloggers, networking with brands, and blog workshops. 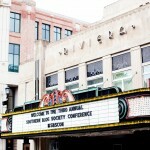 I attended last year when it was called Southern Blog Society Conference and had so much fun. I seriously have been excited for this one since I left last year. 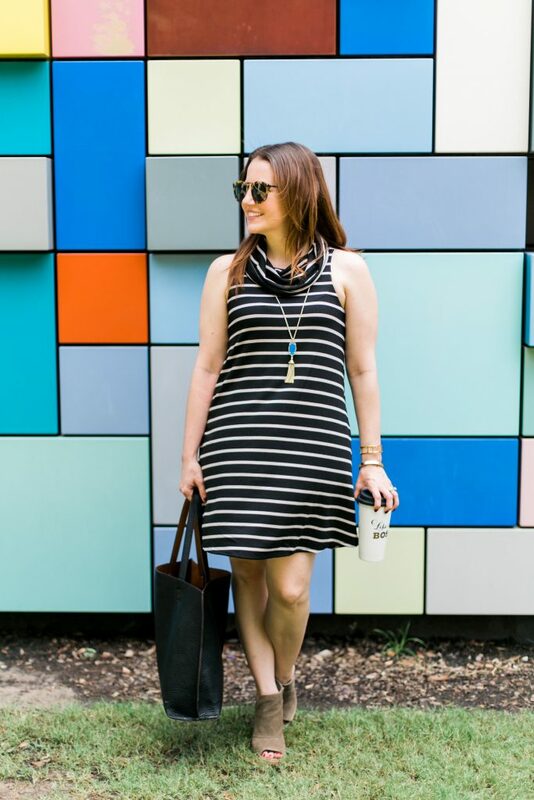 Last year, I knew pretty much no one except for a few Houston bloggers. I had only been blogging for about 6 months, and I had no idea what was about to happen. This year I definitely feel better prepared for all the events of the weekend. I feel I have such a better idea of who I am as a blogger and what my blog is all about. 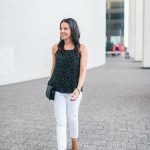 Writing this post made me realize how much my blog and I have grown in just over a year since the last conference. I feel so much more confident going into this weekend. I always set goals for myself before every conference. A few of mine this year are first to meet as many bloggers as I can! I’m excited to meet some of the ladies I follow on Instagram in real life. People who I have forged a small friendship with via the comments section. I love this conference because everyone wants to meet everyone no matter your blog size or IG following. 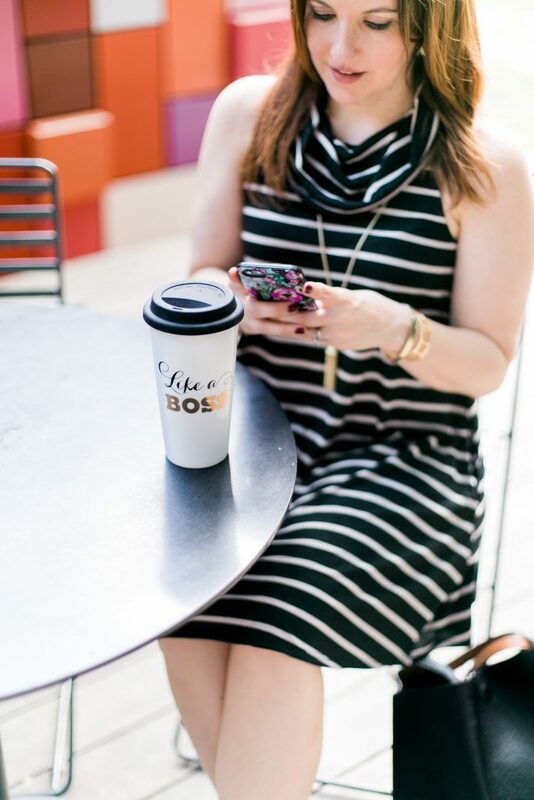 Stepping out of my comfort zone is also a goal at the blogger networking events. I once heard someone say they are an introvert with extroverted tendencies, and that totally describes me. I love socializing, but big groups can also be super overwhelming. Taking a little me time at conferences is the best way for me to not let my introverted tendencies take over. I also want to rock the brand networking this year. Last year, I was totally winging this part of the conference. I had not worked with many brands and had no clue what to say. I was also still developing my blog’s identity. My biggest takeaways from last year were just be you and share the passion behind my blog. This isn’t a day to make deals and plan collabs, but to just introduce Lady in Violet and me to these brands. One of my last goals is to have fun. It may seem silly, but I don’t want to get so caught up in all the conference business that I forget I am also on vacation. Charleston is a beautiful city, so I want to be sure to enjoy my time there outside of conference events. My roommates and I already have some yummy restaurant reservations made and an afternoon at the beach planned. 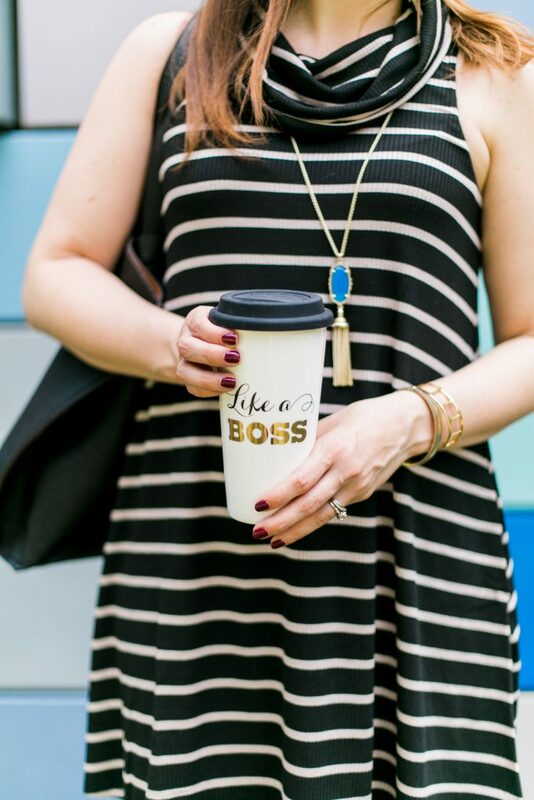 I am definitely heading into Girl boss mode today, and this coffee mug is so perfect for today! I will be snapchatting (ladyinviolet) and Instagramming (karen.rock) my way through the conference, so be sure to follow along. You can also check out the #TBSCon tag on Insta to see more photos from the week from the other bloggers and brands in attendance. I have to make a quick mention about my outfit. This dress is the best thing ever for weekends!! It also has pockets, so enough said. I love the cowl neck as a more comfortable alternative to a turtleneck. It will be super cute paired with a jean jacket this fall. 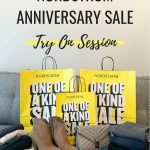 It’s part of the Nordstrom Anniversary Sale and comes in a few different colors. The sale ends on Monday, so less than a week to shop before prices go back up. Check back Friday because I will have one last NSale post sharing a few of the items that are still on my wish list. 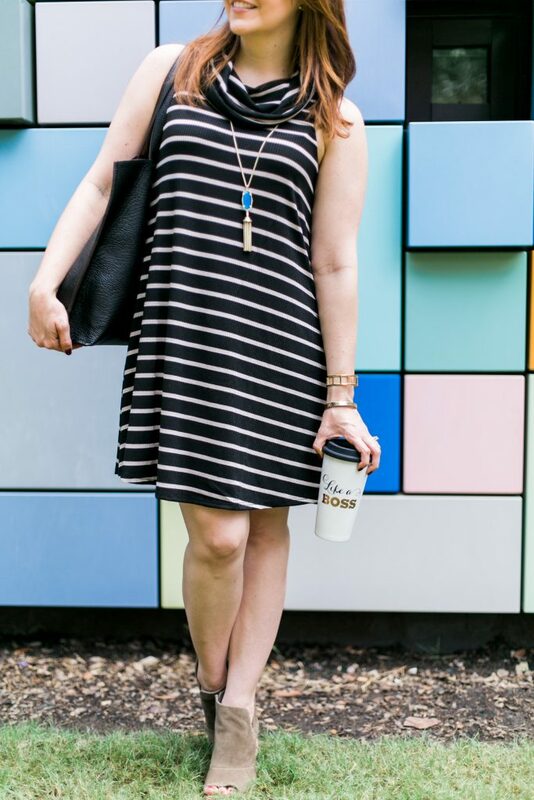 Great classic dress & we all need one of those mugs! 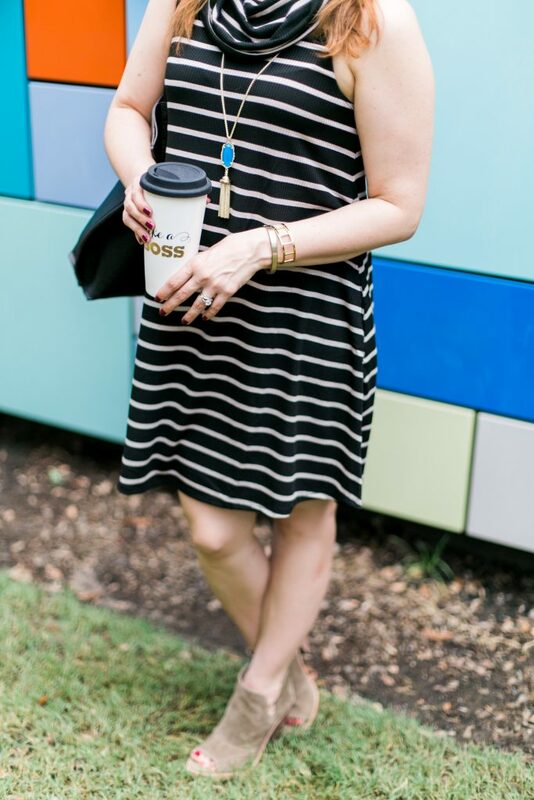 Love this look–that dress looks so cute and comfy! I hope you had a great time at the conference. Great idea to always set goals for blogging conferences, I need to do that for the next one I attend. Loving everything about this outfit! I went to my first blog conference this year and loved it! I learned so much. So I hope you have as much fun as I did in Charleston! That conference sounds like it will be a blast! I’ll have to look into it for next year. Loving that mug! 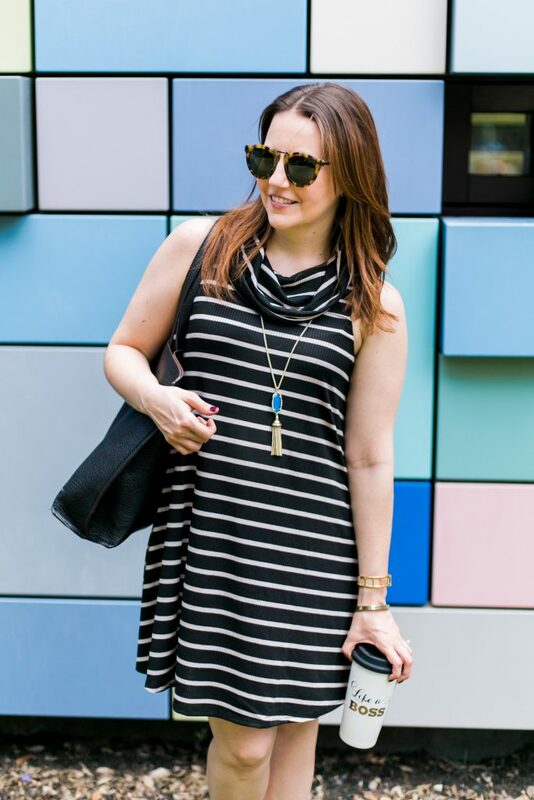 I love the cowl neck with this dress. 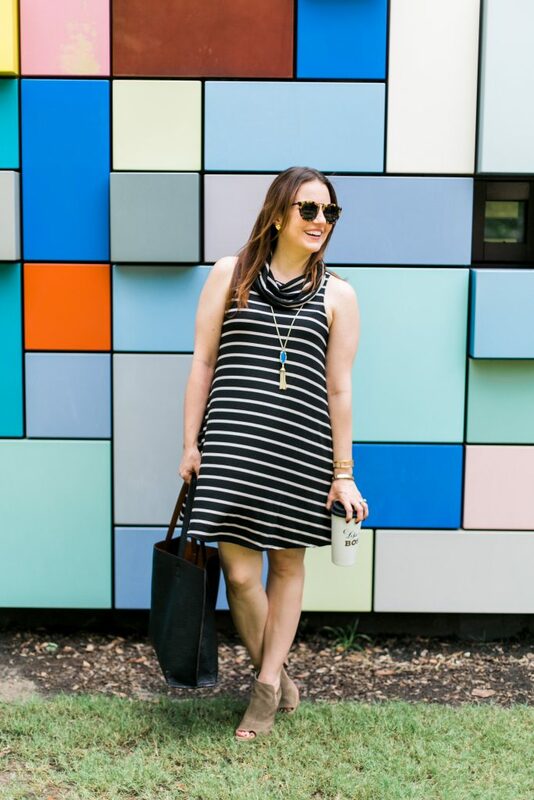 I purchased a similar dress (though mine is red and white stripes) and so excited to wear it. 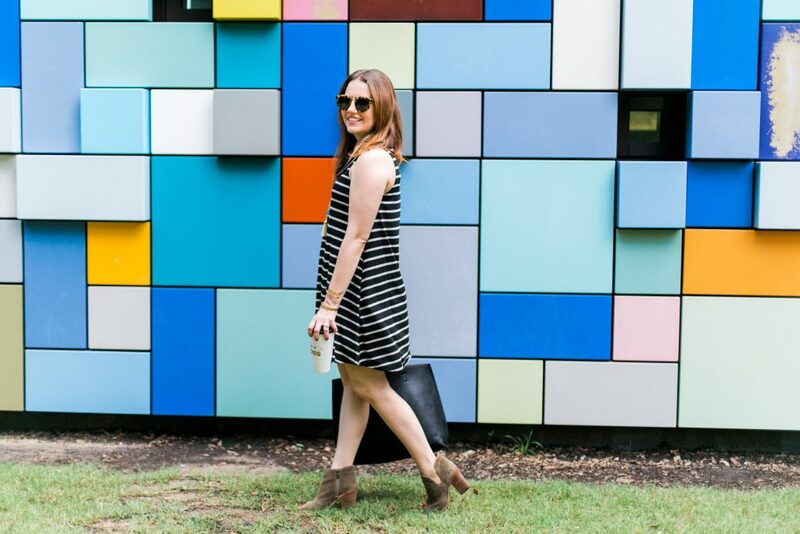 Just a few style inspo from you! I hope you have a fantastic time at the conference! It sounds like a fantastic event! 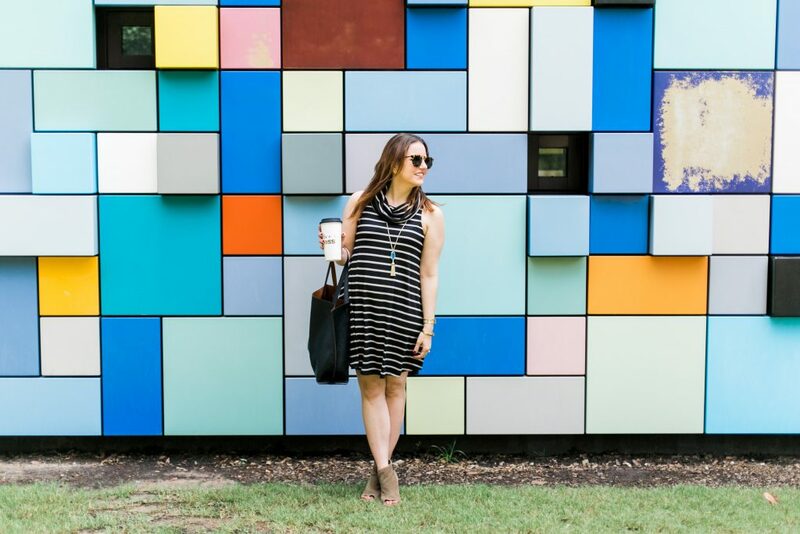 Love the dress and the backdrop of your photos! Love this dress! 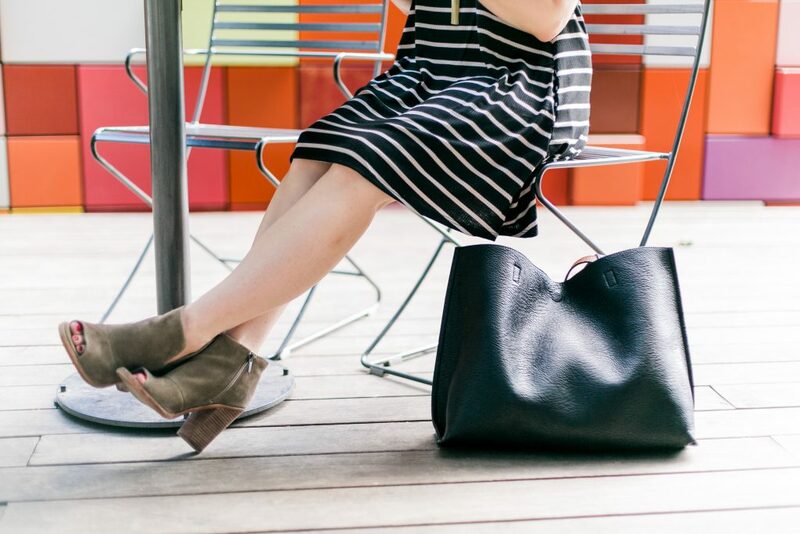 Looks great with your booties!